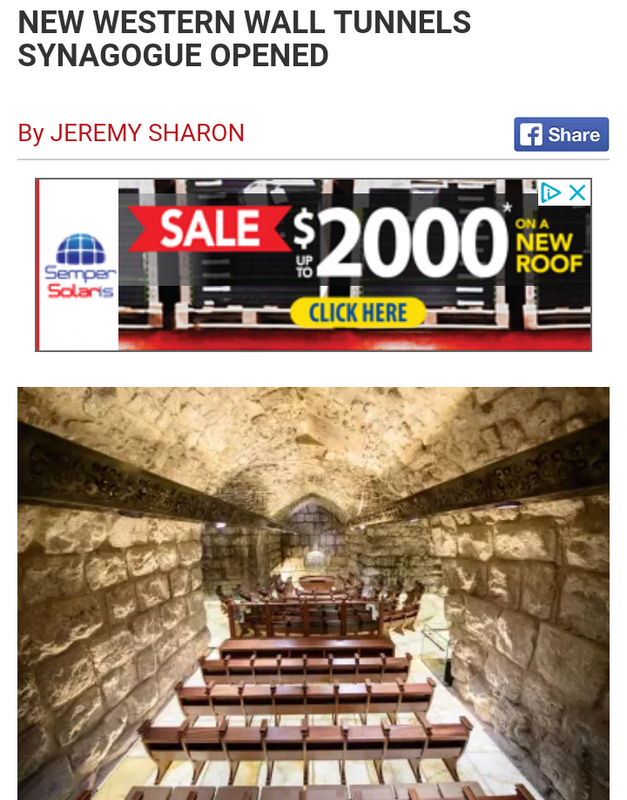 I recently saw this story about a new Synagogue that was built directly beneath the Wailing Wall (Western Wall). Now if you have read my research in the past you will remember that I talked about this Wall and its significance (see below street these articles). What it represents is this, it’s the Roman Antonia Fortress wall facing the One whom they pierced and has nothing to do with the Temple locations. 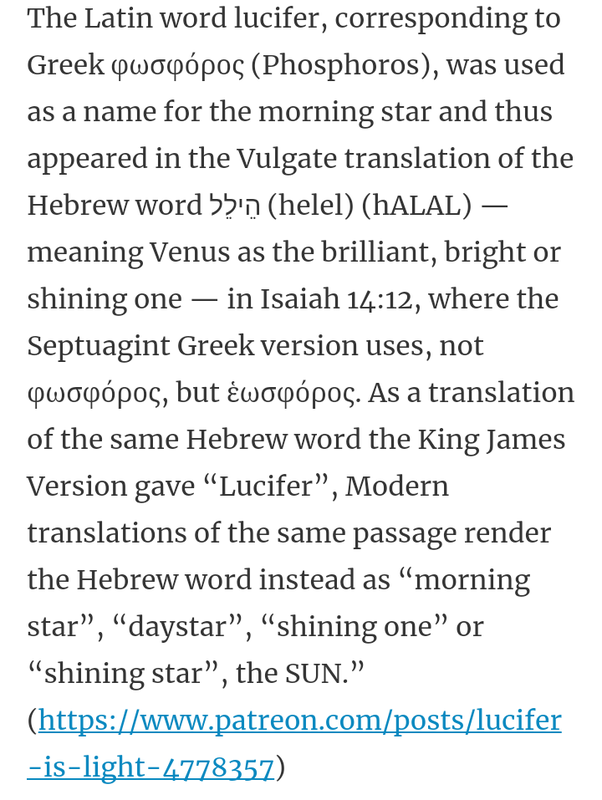 I talked about how they named the gate near the Wall after an Israeli girl that had gotten murdered named Hallel and its significance to Lucifer and Venus. I talked about the daily being taken away and how it could physically represent the daily prayer at the Western Wall. 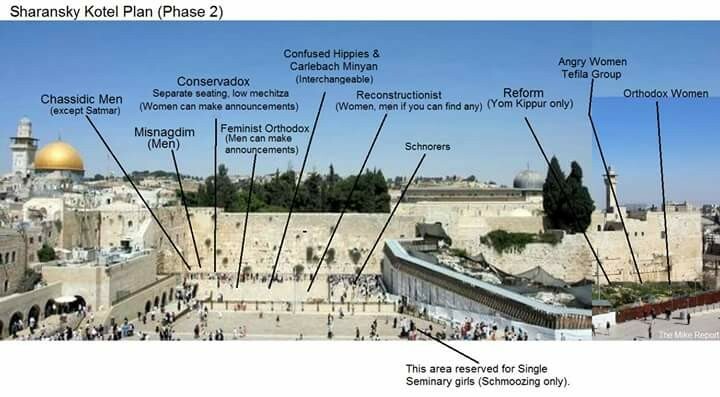 I believe all these things are connected to this new Synagogue that they built underground. And I believe this SINagogue is worshipping the god of forces that Daniel mentions ala SIN worship at Sinai. I can’t find all my links because of WP but I will link my older articles that are connected to all of this as I find them all. Here is one I found and at the end of the article I will repost my view on Daniel’s Daily being taken away. Beware, this is going to be a long post. Here is the recent synagogue article. The synagogue is deep inside the complex and is adjacent to the area above which the ancient Jewish temples on the Temple Mount stood, and the inner sanctum of the Holy of Holies in particular. A remarkable new synagogue within the Western Wall tunnels complex that took 12 years to build was dedicated and opened on Monday night, following the traditional Hanukka candle-lighting ceremony in the Western Wall plaza. The synagogue, which was funded by donations from the Delek Foundation and Delek Group owner Yitzhak Tshuva, is deep inside the complex, adjacent to the area above which the ancient Jewish temples stood on the Temple Mount, and the inner sanctum of the Holy of Holies in particular. 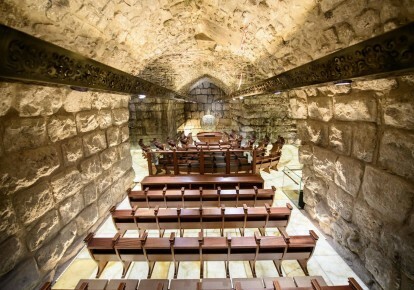 The subterranean synagogue has a dramatic feel to it, with low arched ceilings and walls of ancient stones on all sides, and a unique spherical, metal ark to house Torah scrolls. 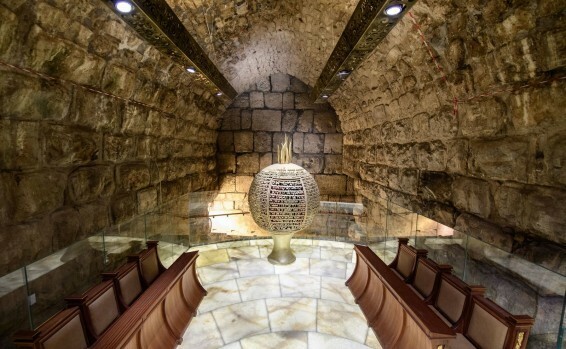 The ark’s walls are formed from the words of the “Shema Yisrael” prayer and the Biblical Book of the Song of Songs cast in metal and running the entire circumference of the sphere, topped by a cast metal sculpture of the burning bush. You can see the god they worship. 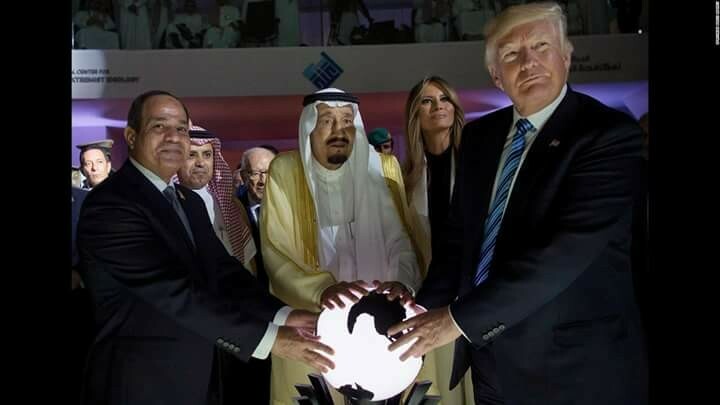 The god of their world, Ba’al (ball). 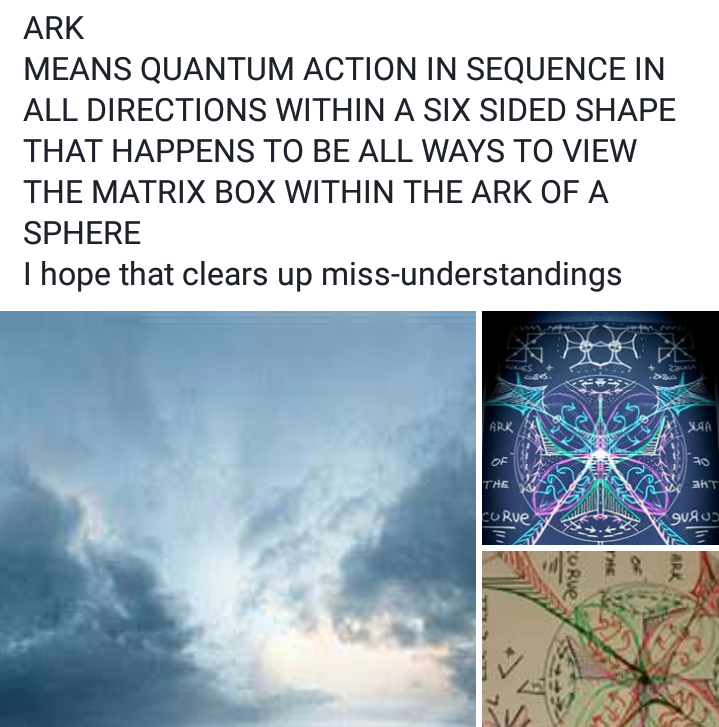 This spherical ark reminded me of a few things. 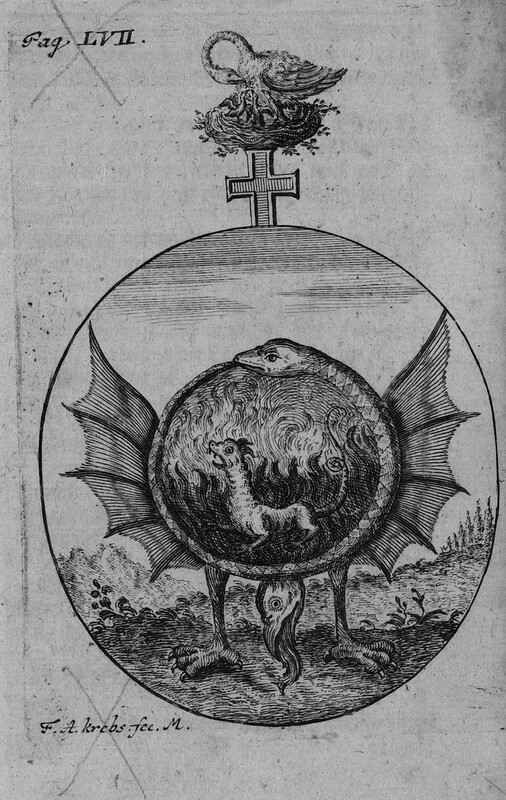 Below is the alchemy “Hernaphrodite Child of the Son of the Moon”. This being the god they worship and this image represents Satan and his Son. And these Kabbalists are in fact Alchemists at heart. 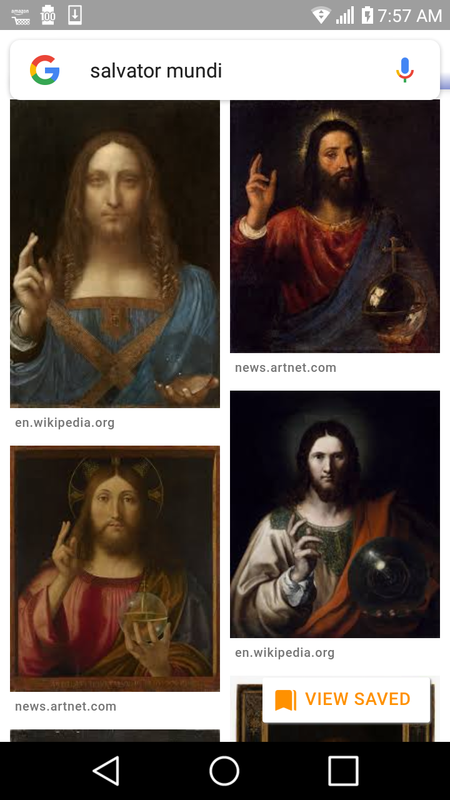 It also reminded me of the Salvator Mundi painting that a Saudi Prince just bought. 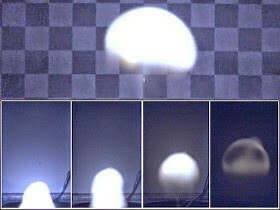 I also want to mention a rare phenomenon called ball lightning. Once again, this is just based off of who they worship…Satan. 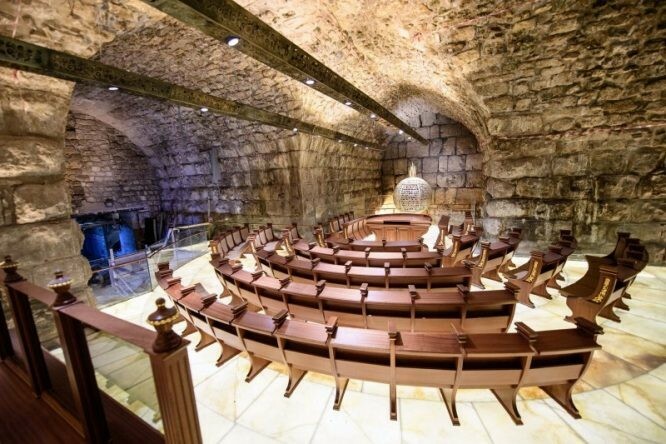 A new synagogue has been inaugurated in the tunnels that run beneath the Western Wall in Jerusalem. Over 12 years of building and preservation work have gone into building the synagogue, shoring up the structure, and conducting an archaeological survey of the site. The new synagogue is situated facing the Western Stone, the largest stone in the wall, which is adjacent to the Holy of Holies. The bimah and the seating are made of wood. The new synagogue features dozens of elegant benches, arranged in separate men’s and women’s sections. The round, wide bimah is made of wood. The synagogue features comfortable seats, decorative embellishments, an imitation marble floor, and lighting designed to grant the space a venerable feel. The Torah ark is adorned with metalwork letters that incorporate the biblical verses of the “Shema Yisrael” prayer, the Medieval liturgical poem “Ana Bekoach” and the biblical Song of Songs. The Western Wall Heritage Foundation is scheduled to establish and publish regulations regarding prayer in the new synagogue in the next few days. Once established, the regulations will be published on the fund’s website. You can see below, the location where this synagogue is. Read this blog for more great connections to all of this. Now as you can that this synagogue was funded by Yitzhak Tshuva who runs the Delek Group. They are all about the gas and oilfields, not only in Israel but Jordan. They signed a gas deal with Jordan in September of 2016. 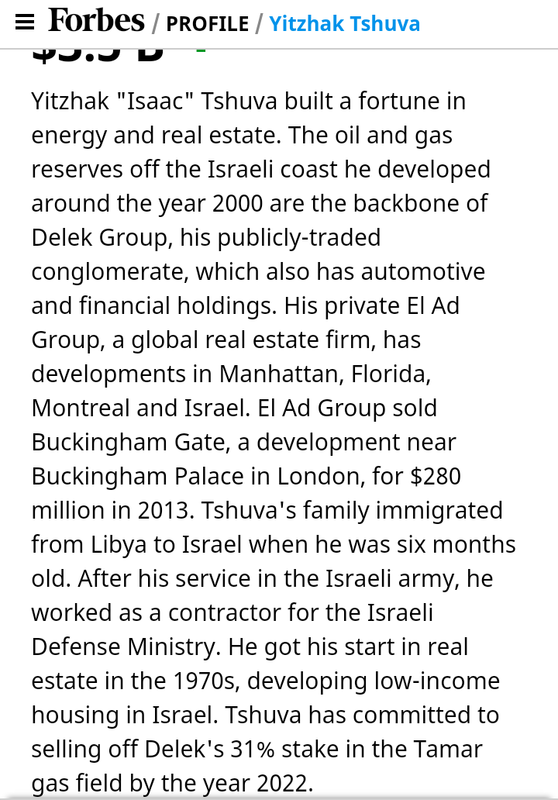 “JERUSALEM (AP) — Israel’s Delek Group, one of the developers of the country’s biggest natural gas reservoir, says it has signed a deal to sell gas to neighboring Jordan. The agreement announced Monday would provide 45 billion cubic meters (1.6 trillion cubic feet) of gas to Jordan over 15 years. 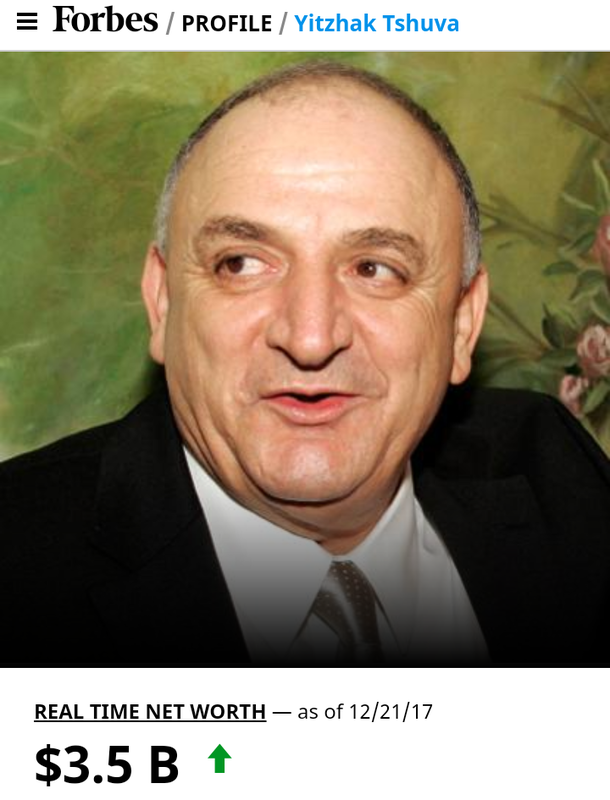 Delek says revenues could amount to $10 billion. You can see here, the Delek Group also promotes education and supporting the youth in Israel, especially preparing them for the military. Now I mentioned the connection to Daniel’s daily sacrifice and the wall. You can find these articles here. (This is from 10/13/16) Most people don’t realize that the taking away of the “daily” in Daniel is associated with the evening and morning sacrifice. When Daniel was in Babylonian captivity, he was still able to keep this “daily” through prayer and fasting and we even see Anna the prophetess doing this prior to Jesus being born. Luke 2:36-37 ” And there was one Anna, a prophetess, the daughter of Phanuel, of the tribe of Aser: she was of a great age, and had lived with an husband seven years from her virginity; And she was a widow of about fourscore and four years, which departed not from the temple, but served God with fastings and prayers night and day.” I talk about this in depth in my new book. 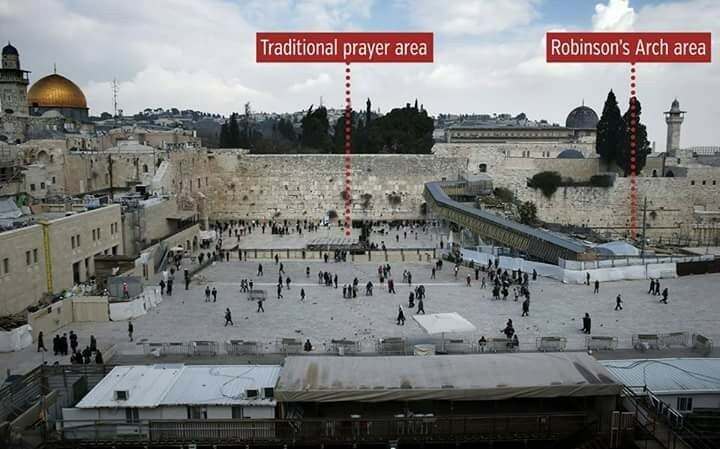 And since there hasn’t been a Temple since 70 AD, the Jews have found a way to keep this “daily” by praying at the Western Wall or Wailing Wall. I find it ironic that these Jews keep this “daily” (knowingly or unknowingly) and pray at the Western/Wailing wall daily. Not knowing that the prophecy of Zechariah 12:10 “And I will pour upon the house of David, and upon the inhabitants of Jerusalem, the spirit of grace and of supplications: and they shall look upon me whom they have pierced, and they shall mourn (mispêd) for him, as one mourneth (sâphad) for his only son, and shall be in bitterness for him, as one that is in bitterness for his firstborn” was fulfilled through Jesus and confirmed in John 19:36-37 “For these things were done, that the scripture should be fulfilled, A bone of him shall not be broken. And again another scripture saith,They shall look on him whom they pierced.” Do they even to this day realize that as they pray, they are facing the exact spot that Jesus was crucified and where He will return? The Mount of Olives. They are looking towards the One whom they have pierced. Not only that, the Hebrew word mispêd (wailing) comes from sâphad which means to wail. And they are doing this at the wailing wall while facing the east towards the Mount of Olives, the crucifixion site. So I say all of this to bring up what happened today. “Less than a day after the Executive Committee of UNESCO passed a resolution that questions the Jewish people’s connection to the Temple Mount and Western Wall, UNESCO Director-General Irina Bokova clarified her position regarding the matter. Bokova released today (Friday) an official statement on the organization’s website. 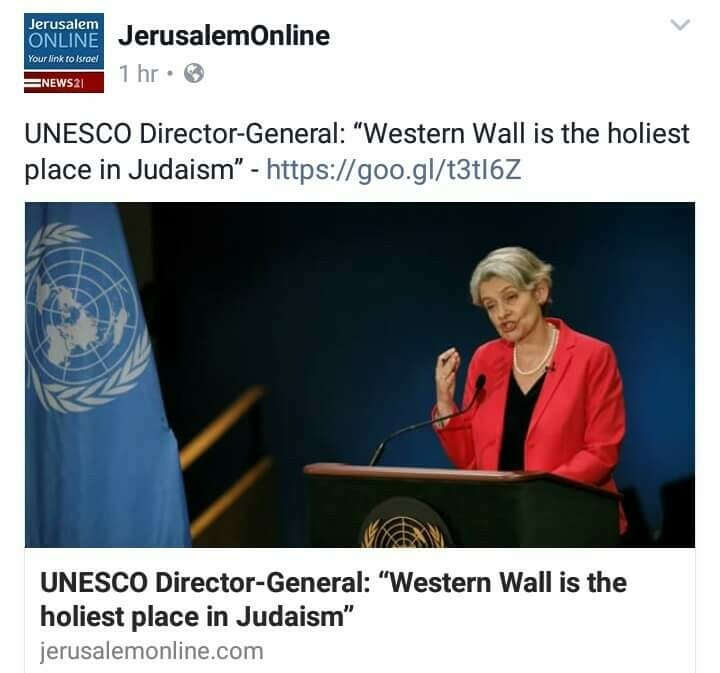 In the statement, Bokova wrote that the Al Aqsa Mosque and the Temple Mount are holy sites for Muslims while the nearby Western Wall is “the holiest place in Judaism.” (http://www.jerusalemonline.com/news/world-news/the-jewish-world/unesco-director-general-western-wall-is-the-holiest-place-in-judaism-24195) UNESCO Director Irina Bokova is an interesting person. I talk about her in my part 1 of my papers on the Arch of Triumph. 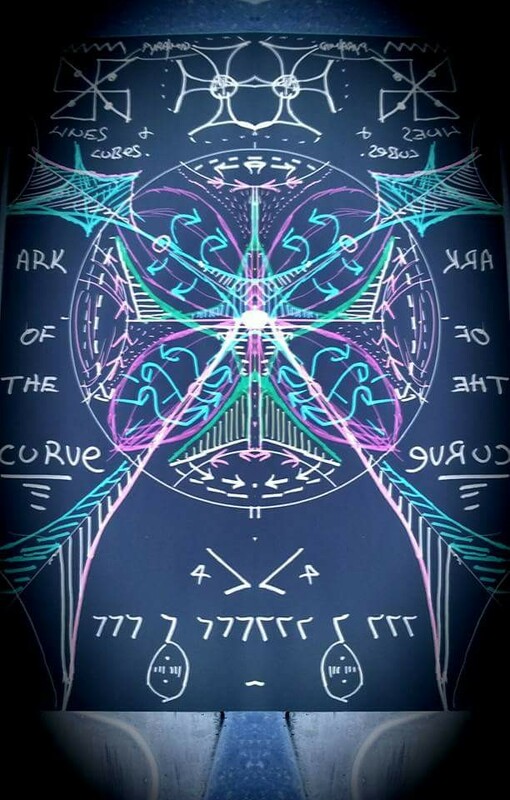 She was a big proponent of getting the Arch replicated and her name Irina is even connected to Isis, the goddess. You can read about it here. (https://www.academia.edu/24384753/The_Arch_of_Triumph_Part_1). She has now said that the Wailing Wall is “the holiest place in Judaism”as the Executive Committee passed a resolution that questions if there is any Jewish connection to the wall and mount. This was proposed by Jordan and Palestinians. Most people don’t realize that these two are synonymous with each other. They are in fact one in the same. You can read about it in the article below. 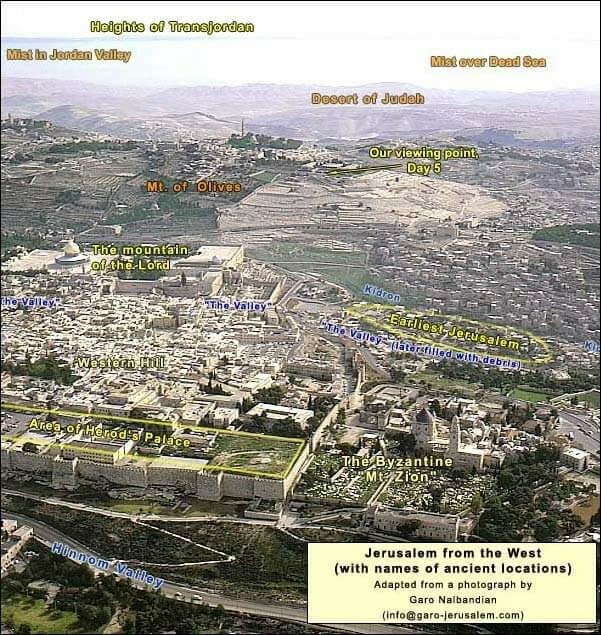 (http://www.jerusalemonline.com/news/world-news/the-israeli-connection/unesco-there-is-no-proof-of-jewish-connection-to-western-wall-24181). “Today (Thursday), the United Nations Educational, Scientific and Cultural Organization (UNESCO) Executive Committee in Paris passed an anti-Zionist proposal submitted by Jordan and the Palestinian Authority (PA). 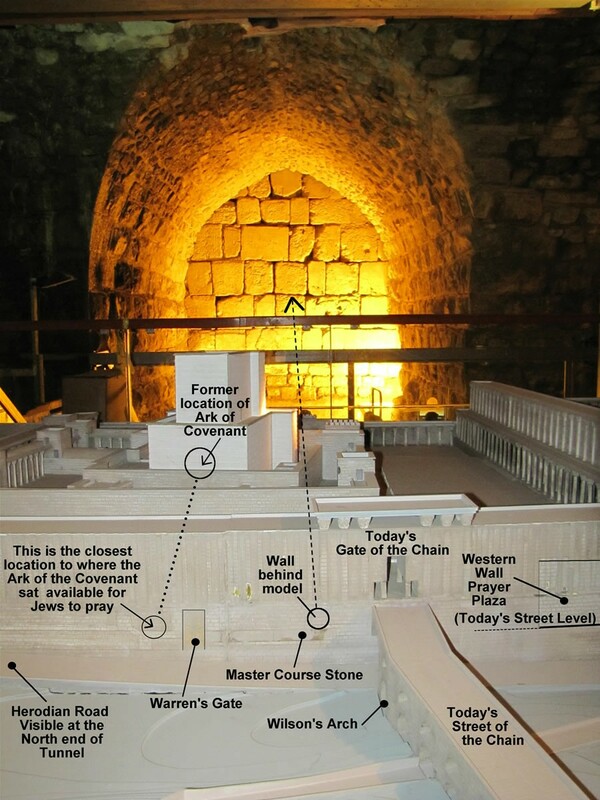 The proposal claimed that there is no proof that the Jewish people have a connection to Jerusalem’s Western Wall even though it is Judaism’s holiest site. 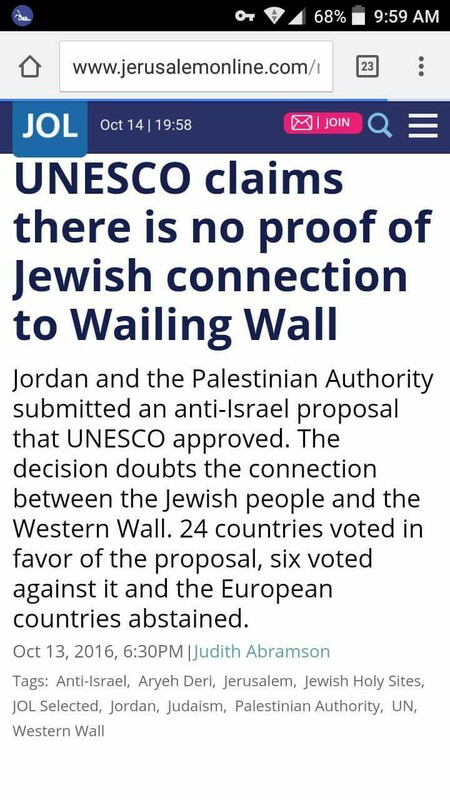 During today’s vote, the European countries abstained.” You will see in the first article that Irina didn’t refute the proposal from Jordan but she did claim it was Judaism’s most holy site. She was sure to say that the Temple Mount was holy for Muslims though. And notice that European countries abstained from voting. 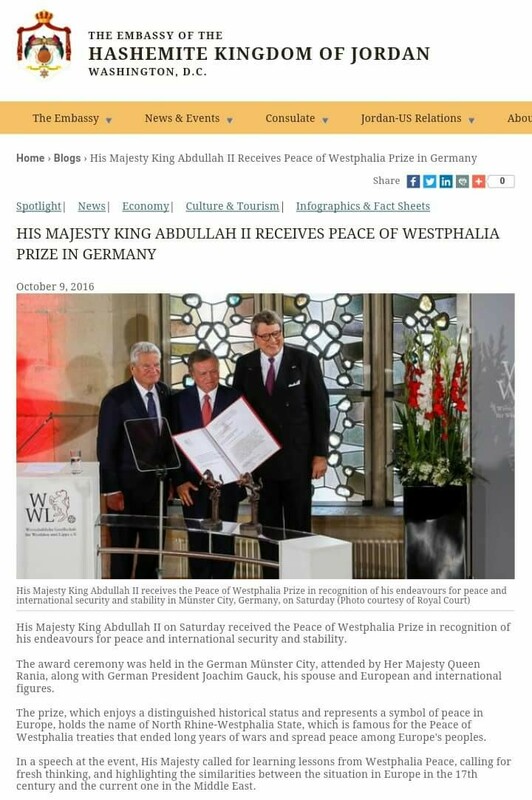 Maybe it’s because King Abdullah II of Jordan just a few days earlier received the Peace of Westphalia Prize in Germany. The award represents a symbol of peace in Europe. 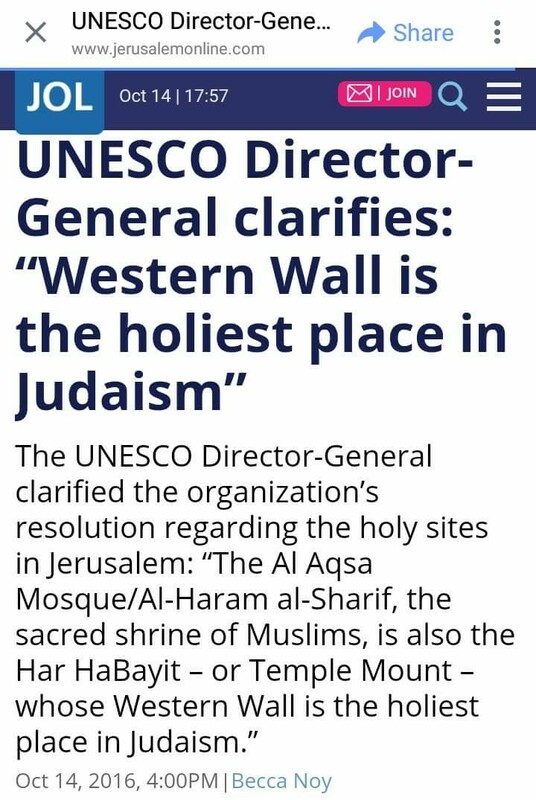 So why did UNESCO refute that the Western Wall is part of Judaism while their Director calls it “the holiest place in Judaism”? Well let’s get back to this “daily” being taken away in Daniel. This daily being taken away is directly connected to the abomination of desolation being set up. In prophecy, they run hand in hand. You can’t take the one away without having the other set up right after. So this is just theory and conjecture on my part. What if the Wailing Wall is taken away from the Jews and they can no longer pray there? Wouldn’t their evening and morning payers be considered the present day “daily” being that they don’t have a Temple to do this at? And if they can no longer be present at the wall, should we see this abomination come into play? Let me even add a little more to this. What if this happens and then they say they have the red heifer to sacrifice and burn for the ashes, so that the Temple and its utensils can then be sanctified? Would God see this as an acceptable sacrifice or would He call it an abomination? I know the answer to this and I go in depth on this subject in my new book “The Temple, The Abomination and The Holy Place”. This is just something we should take seriously and think about. Here is another article I did a few days later on 10/15/16 that is related to all of this. Let me point out something. Here you have a clear distinction between Islamic thought and Christian thought…Jesus ascended from the Mount of Olives while Mohammad ascended from the mount area. Palestine Studies goes on to say, “Little historical evidence of Jewish sanctification of the Haram al-Sharif’s western wall has been found prior to the sixteenth century. Earlier accounts tell of Jews performing religious rituals on the Mount of Olives, facing Jerusalem. It appears that Jewish leaders began to take interest in worshiping at the Western Wall during the Ottoman period, which was characterized by a measure of tolerance towards the Jews…But in September of 1925, Jewish worshippers attempted to transform this space into a temple. 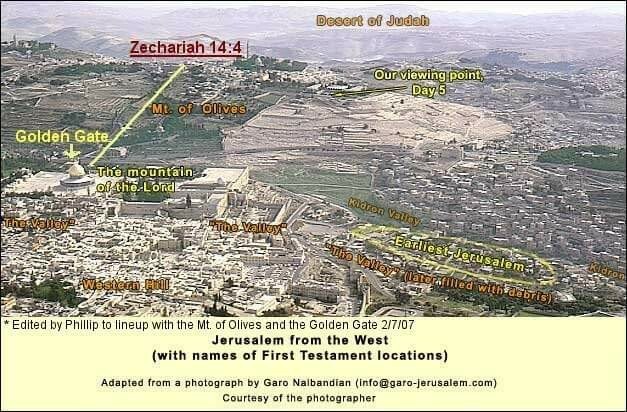 They brought tables, chairs and books to the site on the grounds that the wall was part of the remains of the Second Temple, which was destroyed by the Roman Emperor Titus in 70 AD.” There is a reason as to why the Mount of Olives is significant. Now I don’t know what exactly these “rituals” were, but it is a fact that Christians and Jews worshipped on Olivet. Here is a little more back story to this conflict at the wall and gate. “After the Balfour Declaration, the Zionist institutions began to emphasize the Western Wall as a national symbol of the Jewish people, in addition to its religious significance. 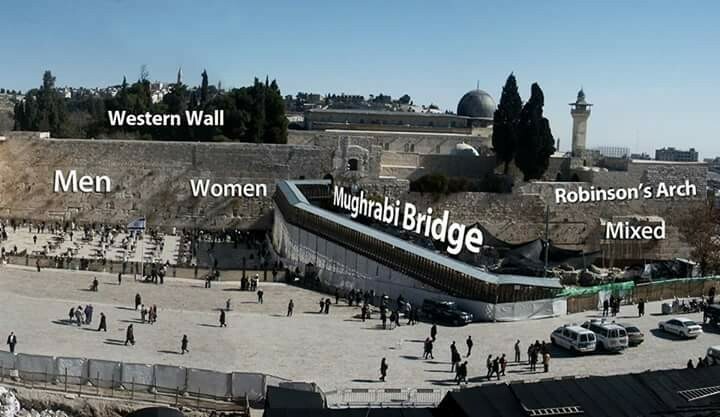 This action led the Mufti of Jerusalem to claim that the Jews intended to take control of the Western Wall, so he declared the Wall with no religious or historical substantiation a holy Moslem site. This wall of stones, to which the Muslims ascribed no importance, was thenceforth called El Buraq, after the name of the magical horse of the Prophet Mohammed. In the 1920s, the Mufti of Jerusalem ordered the opening of the Mughrabi Gate in the southern plaza, thus turning the prayer plaza from a cul-de-sac into a thoroughfare for passersby, who disturbed the worshipers. In August 1929, an incited Muslim mob rampaged through the opening torn by the Mufti in the south of the plaza, attacking the Jewish worshipers and destroying ritual objects. Several days later, the 1929 riots broke out. As a result of these riots, the British established a committee of investigation. The committee’s report included a specific statement on the use of the El Buraq myth by the Mufti to incite the Arabs against the Jews. 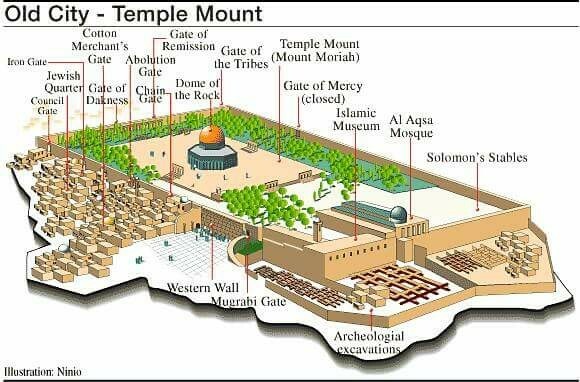 So I think one of the possibilities that the Jews will eventually be denied prayer at the wall and entrance to this gate is because of Islam’s “historical” claims to it. But let’s be honest, they don’t want Jews ascending the Mount, especially like they did a few months ago in defiance of the little girl who was killed by an Arab boy. Oh yeah, and I almost forgot. The Jews actually renamed this gate Hallel, after the dead girl. I suggest you read my article about this here https://m.facebook.com/story.phpstory_fbid=918517748257778&id=519754571467433 to understand why this is significant in my opinion. But its just not this reason. Some Jews believe just on the other side of this western wall is where the Temple once stood. “At least twice in the past, I have personally come face to face with the question of the meaning of the Temple Mount, and each time I have been struck with the multiplicity and fluidity of possible answers. The first time was during Sukkot week in the early 1990s. I had been posted at the Western Wall as a volunteer helping the police keep a knot of Haredim separate from a group of determined ultra-nationalist Jews who were attempting to lay a symbolic cornerstone for the Third Temple near the Mughrabi Gate. The former, who believe it’s wrong to attempt to do this before the Messiah comes, were shouting their disapproval of the latter’s efforts.” (http://www.haaretz.com/jewish/books/meaning-of-the-mount-1.260723?v=C55A46E2B22D9C5381ADDD7EEC15B635) So this may be another reason as to why the Hashemites want the Jews away from this location. The Jews may be looking at this section of the mount to rebuild their temple (which is another subject all together). 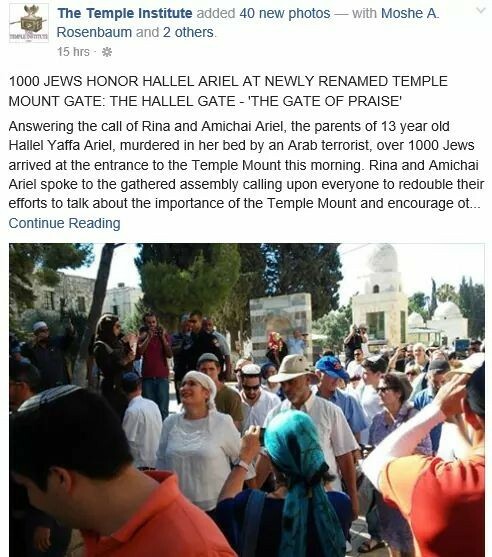 I suggest reading this https://m.facebook.com/story.php?story_fbid=918517748257778&id=519754571467433 to see what kind of significance this gate has, and what it means since they have renamed it Hallel. And if they are removed from the Western Wall, then we should expect to see another war break out and possibly the red heifer come into play. (Published July 12, 2016) A “13-year-old girl named Hallel Yaffa Ariel who was killed in a terror attack on June 30, held a memorial ceremony Tuesday morning at the Temple Mount in Jerusalem…The assembled group symbolically declared that the Mughrabi Gate, used by non-Muslims to enter the Mount, had been renamed Hallel Gate.” (http://www.timesofisrael.com/family-of-slain-israeli-teen-hold-temple-mount-memorial/) This gate was known in the past as the Coponius Gate (Coponius, Roman Procurator or Prefect under Augustus, 6 – 9 A.D., Josephus, ‘Antiquities of the Jews’ 18.1.1 “Coponius, a man of the equestrian order, was to have the supreme power over the Jews.”) and until recently the Mughrabi Gate. I had no idea they named that part of the gate Hallel. Beyond creepy. That would have to be the Sanhedrin synagogue of satan naturally. No way normal Jews who fear the one and true G/D of Abraham, Isaac & Jacob would be cool w/all of this. 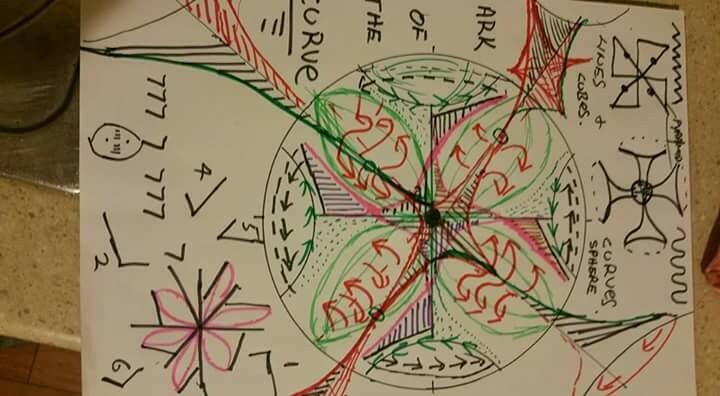 All of this means something huge is coming … I feel time is short and people are asleep.